Made of stainless steel, its the faithful partner who carries invigorating coffee, steaming tea or a healthy smoothie for a re-vitalizing break at any moment. Its double wall keeps beverages hot or cold up to 12 hours and ensures a comfortable and safe grip by insulating your hand from the heat. 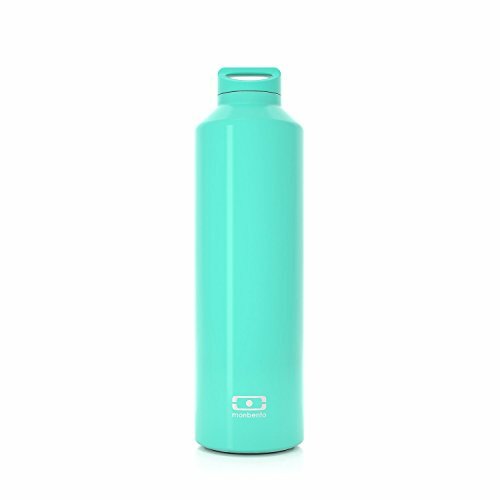 With its allure and vibrant hues, this 50 cl (17 FL oz) bottle that includes an infuser is the new key to enjoy your favorite beverages with style. If you have any questions about this product by monbento, contact us by completing and submitting the form below. If you are looking for a specif part number, please include it with your message.